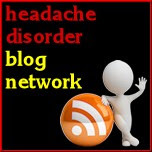 Migraine Monologues: A healthy audience: Does the number of sufferers equate to income? A healthy audience: Does the number of sufferers equate to income? Please take 8 minutes of your day to read or watch this report recently released by NFP Synergy, a consultancy for charities. 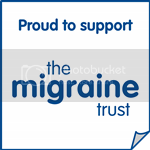 Migraine features heavily and there are some hard home truths. My cousin, Joe Saxton, led the research and I think I'm right in saying that he was inspired to dig deeper into this subject after I showed him some of the facts and figures provided by The Migraine Trust. i.e there are an estimated 8 million migraine sufferers in the UK, yet migraine is the least publicly funded of all neurological conditions relative to its economic impact. If there are 8 million migraine sufferers in the UK shouldn't the charity be raising millions to match us? How much is spent, and how much is donated per each of those 8 million? Watch and read the report to find out. It's quite depressing. Why is this happening? What can we do to change this? Ask if the charity representing your condition is work effectively? Are they doing enough to support you and your condition? What could they be doing differently? How can YOU help them be more efficient. Identify your case for support - crystallise your case, why should people give money, what can you do/offer? Identify key audiences - is income likely to come from sufferers, their friends and family or employers? Work out the mechanisms for support - the way someone supports a charity should tie in with the above two points. Copy other charities - look at what successful charities are doing and adapt those ideas. Raise your profile - it shouldn't have to cost money to raise the profile of a condition, get journalists interested, use social media - it's free! Be ambitious - trustees and staff need to be hungry for growth and change, without that, nothing is possible. Is your charity doing all this? Challenge them and yourself.